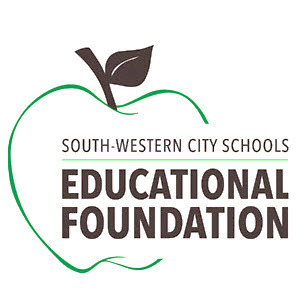 South-Western City Schools Educational Foundation: 2015-2016 SWCSEF Grant! Students read and watched Sleeping Beauty before the field trip, so during the performance the students were asked to pay attention to the different scenes to compare and contrast the different renditions. Several students commented that they had never been to downtown Columbus, so I knew they would be in for a treat. ! As we entered the theater, the excitement turned into pure joy as the majestic theater captured their attention. The ornately decorated walls and ceilings were the focal points as we walked up the stairs to our seats. Students had many questions and we were lucky enough to schedule a Skype call with BalletMet’s educational director, Ambre Emory-Maier. Ms. Emory-Maier actually was one of two ‘hosts’ who greeted the audience before the performance began and helped explain pantomime to the crowd. For about twenty minutes, the students fired questions at Ms. Emory-Maier about the behind-the-scenes workers, the dancers, the performance, the connection to other versions of Sleeping Beauty, and ballet in general. I’m sure the call could have lasted much longer because when we said goodbye many students still had questions they wanted answered!